Shopping for a Travel System is hard, there are so many options, brands and features to look at. I know for me, the first thing I look at is the Stroller. I need something that's light weight, stylish and affordable. Now let's talk about baby shower shopping, which is something I do often. What's the first thing you see on a baby registry? A Travel System. Usually gifted by the grandparents, aunts, or even best friends! I know I love to gift something that will constantly be used. Which is why my next gift will be the GB Lyfe Pram Travel System available at Babies ‘R’ Us. And once you read all the features and price, I'm sure it will be your next purchase too! 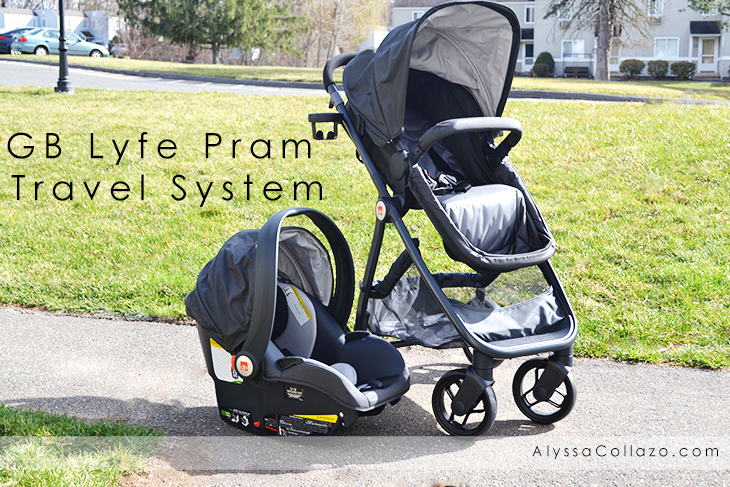 The GB Lyfe Pram Travel System is incredible. I am in love with the stroller. The GB Lyfe easily transforms into 4 different modes of use. When they're ready to sit up, keep your connection with the parent-facing seat, or let them take in the world with the forward-facing seat. So easy! But my favorite thing about the stroller is that the seat converts into a European-style pram. Ever try to wake a sleeping baby to simply go for a walk? Take it from me, it's not fun. With the GB Lyfe Pram Travel System you don't have to worry about waking the baby. They can sleep peacefully in the European-style pram or even the Car Seat and you can relax and enjoy some fresh air. I'm sure you're thinking, this Travel System is hard to use and weighs a ton. Let me break it down for you. The stroller is light weight. I can carry it with one hand. Which is perfect when I have a baby in the other. The stroller features a self-standing, two-hand, one-step fold option to keep it clean and off the ground, while the front basket access enables you to get to your little one's toys and snacks quickly. To flip the seat around all you do is push two buttons flip and snap in. It's that EASY! 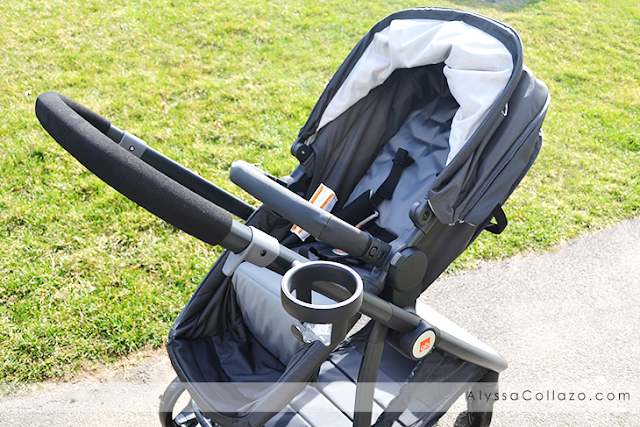 The pram, stroller seat and car seat are reversible and have premium fabrics that provide a stylish look. 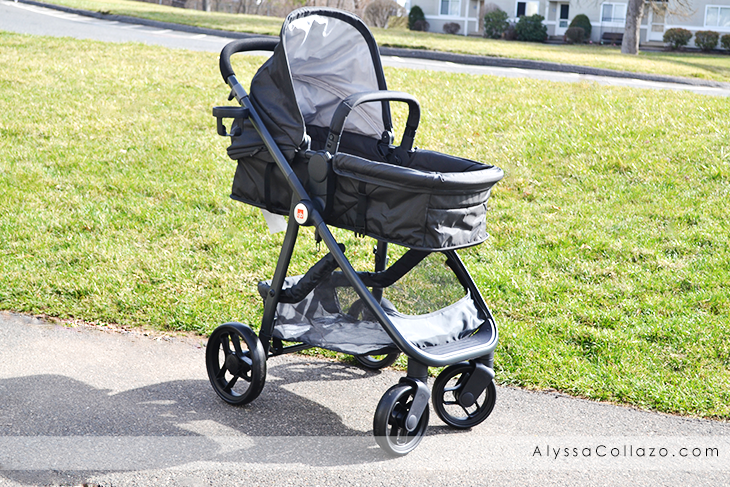 Keep in mind the GB Lyfe Pram Travel System is available in two colors Charcoal and Merlot. This Travel System runs for $379.99 at Babies ‘R’ Us. A Travel System that is easy to use, versatile, stylish and in my opinion affordable. I'm SOLD! And I hope you are too. I love this travel system! I like that it transforms into 4 different modes of use. It's so sleek and pretty, too. It would be the perfect baby shower gift. When I was having my first baby I wanted a pram but they didn't convert back then. I think these are a great idea. This is such a cool looking travel system! I love that it has more than 1 mode to use it in. This sounds like such a great stroller travel system. I love that it's so versatile and can transform into different modes. Great gift idea! This stroller is awesome, and to carry with one hand would be perfect! I never seem to have enough hands an lugging a heavy stroller is such a pain. What would sell me would be the weight. I'm all about my strollers being light weight. Sounds like one amazing stroller. this stroller looks super cool. my friend would totally love this becuase it is light weight. Nothing like a good stroller and carseat combo. I love that it is lightweight. All moms deserve a light weight and easy to navigate stroller. I love these new strollers. I really wish they had these when my kiddos were babies! It really helps that it's lightweight since you can easily take it with you. This makes taking the baby out much easier. This looks like a great travel system for kiddos!! I will pass this post along to my mommy friends! That looks so convenient. What an easy way to tote the kiddos around. I don't have babies yet but I feel like this is really convenient! It's like purchasing multiple products in one! This would be perfect for my sister she has a new tween babies. I remember the headache of shopping for our travel systems for each kid. This one looks really nice and fancy, much better and more modern than the ones I had. How cool, I love the basinet feature. Wish I had a Pram with my youngest. This sounds like a great stroller travel system and that looks so convenient. Great gift Idea!! I love the looks of this! and it's lightweight? I'm all for it. Our current stroller is a bit heavy. Great info. Thanks for providing America such a helpful info. carry on the nice work and continue providing America additional quality info from time to time.